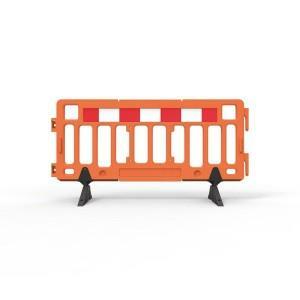 Crowd-Q is a system of portable interlocking free standing fence panels for crowd management. Crowd-Q is manufactured from super tough and light weight moulded polyethylene in hi-visibility safety orange. 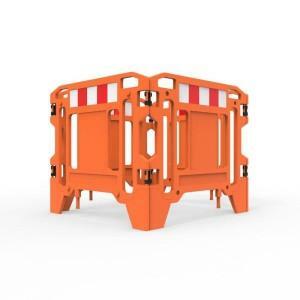 Maximum panel openings of 80mm ensure small children are unable to climb through or under. Other features include stacking dimples, built-in reflective panels and low profile feet that rotate for transport or stacking. 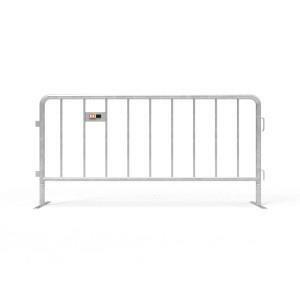 Panels link together to create continuous barricading for festivals, parades, sporting events and work sites. Optional forklift stillages holding up to 20 Crowd-Q panels makes handling and transporting simple and efficient. 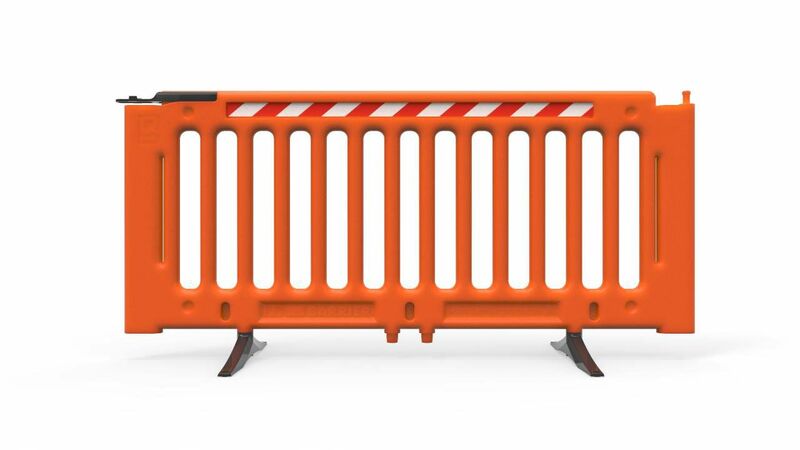 Material: Blow moulded polyethylene panel. 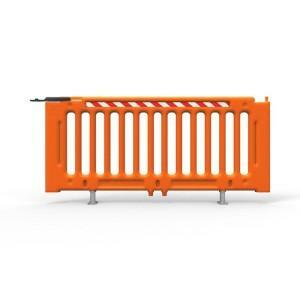 Finish: Solid colour Hi-Vis Orange panel.